Shaving, waxing or epilating – no matter what method you use, hair removal is a chore that no one wants to go through. You spend a bomb on all the equipment or at the salon and waste literal hours of your life getting every last hair painstakingly removed, only to have it grow back full force within a couple of weeks. While going for professional laser hair removal treatments may be a great way to get rid of your body hair for long stretches of time (about 4-6 months) or to permanently reduce hair growth, not everyone can spend thousands of dollars on it. This is where at-home laser hair removal devices come in. Not only are at-home laser hair removal devices less painful than waxing or epilating, they also reduce your body and facial hair growth in the long run. They use laser technology or Intense Pulsed Light (IPL) technology to attack your hair follicles and reduce their ability to grow hair. You may need to spend a bit more money on these devices, but the results they give are totally worth the price. Disclaimer: Most laser hair removal devices cannot be used on dark skin tones or light (blonde, red, gray) hair. Please check the product descriptions on their official websites before making a purchase. 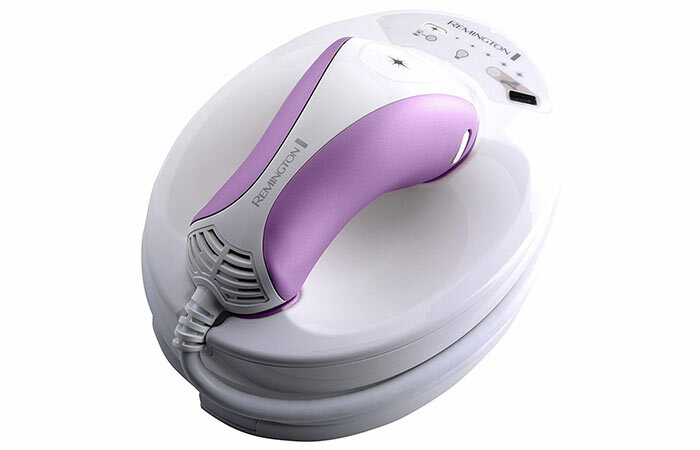 Remington iLight Ultra Hair Removal System works with a xenon flash lamp that can safely be used on your face (chin, upper lip, neck, sideburns) and body (underarms, bikini line, leg, arms, chest, stomach). It comes with 2 different treatment caps for face and body and a sensor that prevents the laser from flashing when it’s not against suitable skin. This at-home laser hair removal device also comes with a mobile app that you can use to track your treatments. 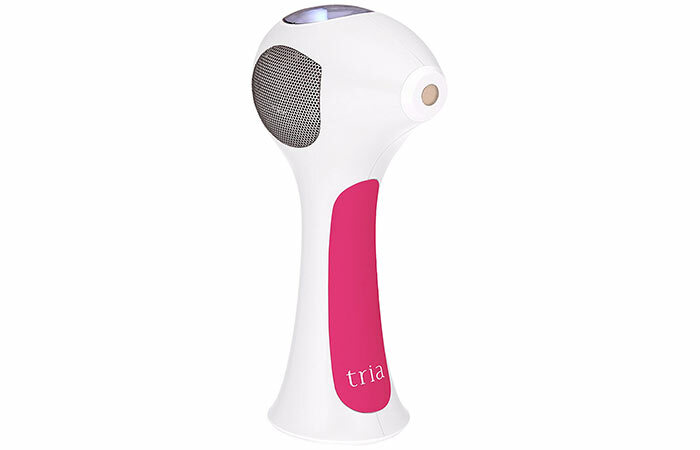 Tria Beauty Hair Removal 4X runs on diode laser technology that slows down hair growth by damaging your hair follicles. 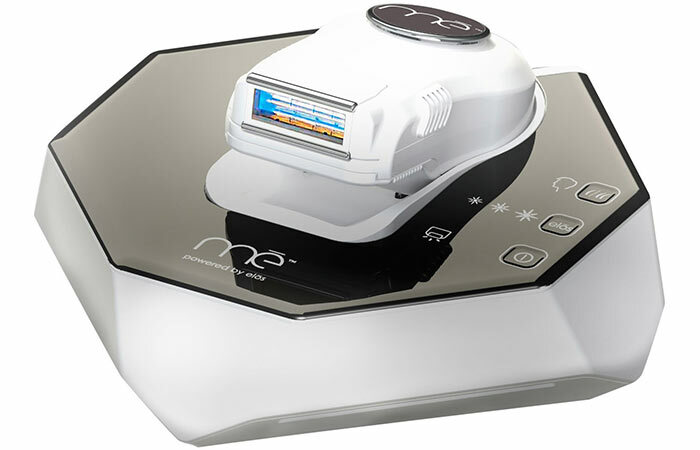 This particular laser hair removal device is highly rated by dermatologists as it is a great quality and effective product. It is also rechargeable and can be used on your face and body. Other notable features of this device include a pulse counter to track your treatment coverage, a treatment level indicator to select the intensity level, and a skin sensor to indicate when it is ready to be used. 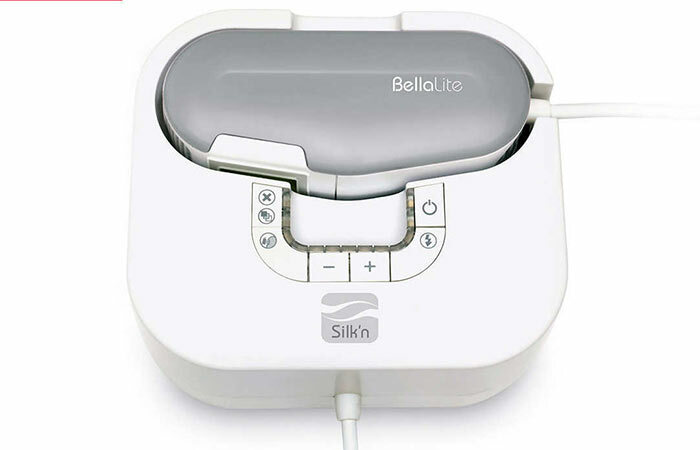 Bellalite By Silk’n is an FDA-approved laser hair removal device that that promises to give you 70% hair reduction within 3 months of starting treatment. 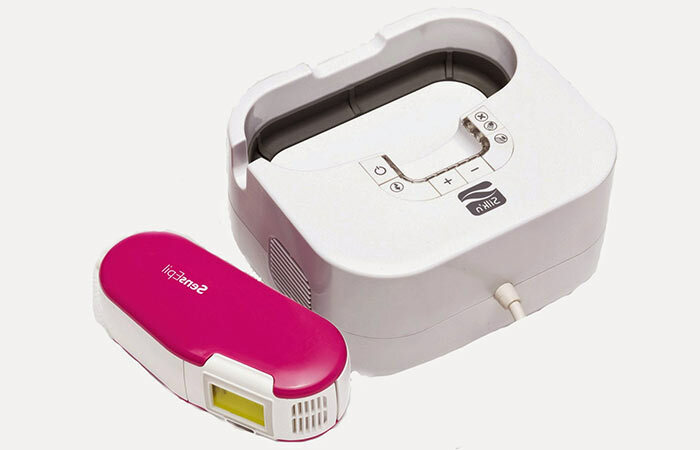 It uses a unique Home Pulsed Light (HPL) technology that provides effective long-term hair removal results. It comes with a disposable lamp cartridge that holds 750 pulses and can cover your arms, legs, underarms, and bikini line. Bellalite By Silk’n can also be used on your face but only below your cheek line. 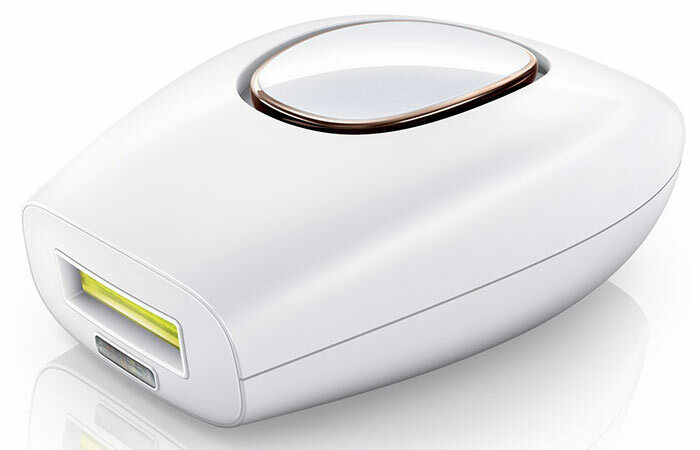 The Silk’n SensEpil Hair Removal Device is known for being one of the most affordable and effective at-home hair removal devices. 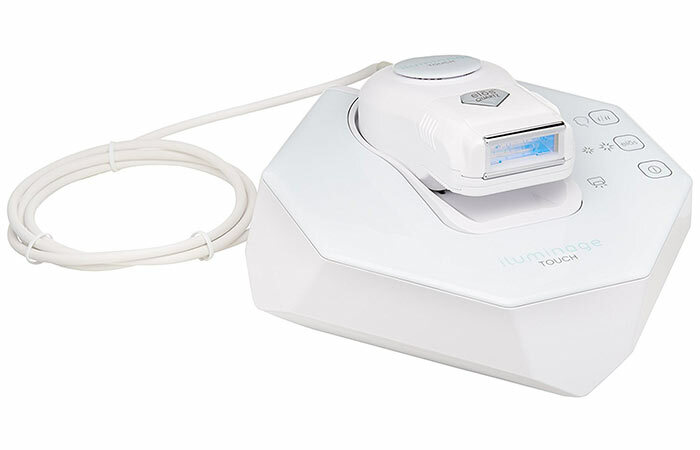 It claims to reduce your facial and body hair growth by 75% within a year of using it with the help of its Home Pulsed Light (HPL) technology. What’s more is that it’s FDA-approved, easy to use, and clinically proven to provide great results. 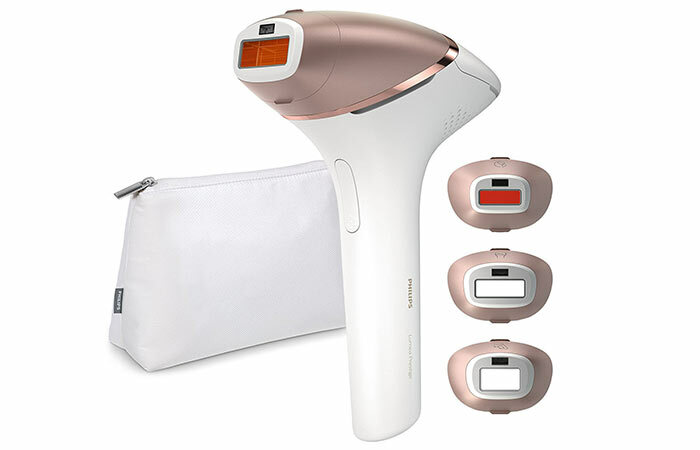 If you’re looking for a laser hair removal device that is not time consuming and does not need cartridge replacement after a few uses, then Philips Lumea Comfort IPL Hair Removal System is the product for you. It has a skin tone sensor that detects if your skin is safe for laser hair removal and an integrated UV filter that protects your skin from damage. But the best feature of this device would have to be its Slide And Flash mode that allows you to just glide over large areas (like your arms and legs) continuously and quickly. If you are someone with dark skin tone and light body hair and have been on the hunt for that rare laser hair removal device that will work for you, then you need to check out Iluminage Touch Permanent Hair Reduction Device. This device works on a combination of Intense Pulsed Light (IPL) and Radio Frequency technology (also known as Elōs energy) to remove hair from dark skin. You can also use it to remove lighter hair (blonde and red) provided you wax or epilate immediately before using it. 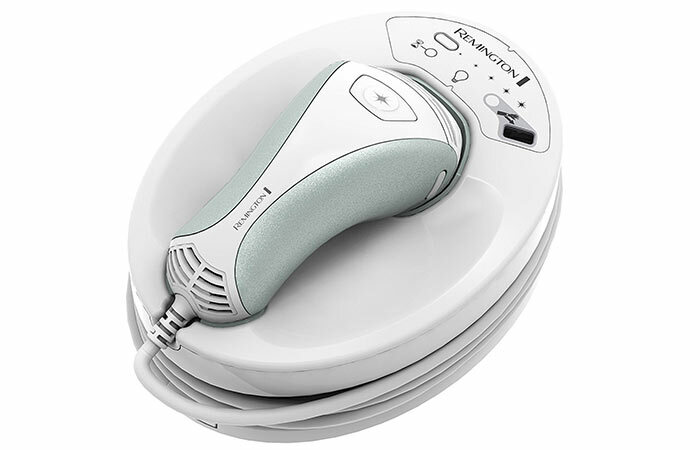 The Remington iLIGHT Pro Plus Quartz Hair Removal System uses Intense Pulsed Light (IPl) technology that targets hair and disrupts their growth. It claims to have the same output parameters and results as professional hair removal devices. It also has an ultra-fast flash rate, which lets you cover areas like your underarms and bikini line within a minute. The Philips Lumea Prestige BRI956 IPL Hair Removal System is what you would call a premium product. This gun-shaped device can be used anywhere on the face and body and provides a whooping 250,000 flashes. But the very best feature of this handy device would have to be the 4 different attachments it comes with for your body, face, underarms, and bikini line. Moreover, you can use it with the cord plugged into a power socket as well as use it cordless when treating those hard to reach areas on your body. If it wasn’t already obvious by the name of this product, the SIlk’n Infinity 400,000 produces an astounding 400,000 flashes that can last you a long, long time. It combines Galvanic Energy and Optical Energy as well as eHPL Technology. This works on the lightest of hair and darkest of skin tones. It also promises to remove hair quickly and without causing any pain, irritation, stubble or ingrown hair. The Tanda Me My Elos Syneron Touch Hair Removal System is another one of those laser hair removal devices that works on dark skin tones and light hair. It works on a combination of IPL and Radio Frequency technology. You can use it on the single flash mode or press down on the pulse button for continuous flashing that would allow you to glide over larger areas. 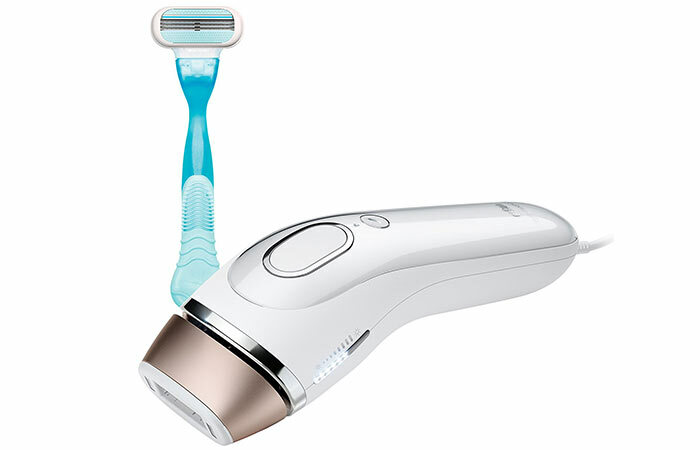 Popular razor brand Gillette has come out with its own IPL laser hair removal device along with Braun and it comes as no surprise that it’s a great product. The SensoAdapt sensors on this device check your skin tone a staggering 80 times per second to adjust the intensity level of its flashes. Its glide mode also helps your treat large areas like your arm or leg within just 8 minutes. 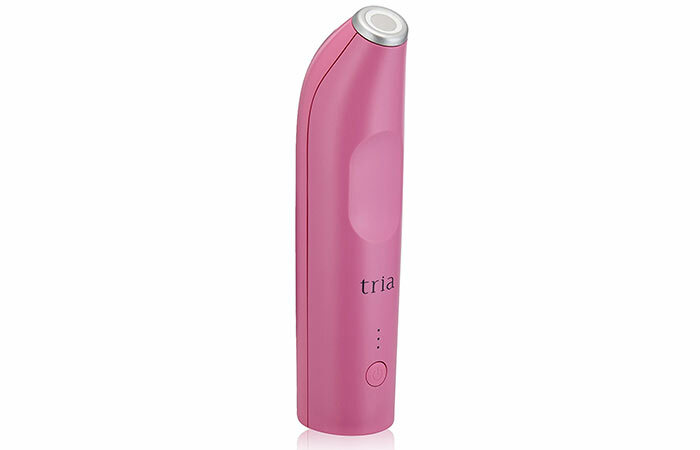 The Tria Beauty Hair Removal Laser Precision is for those people who just want to remove the hair on their face and other small areas on their body. Its small and precise laser window is great for treating areas like the upper lip, lower lip, nose, chin, sideburns, underarms, fingers, toes, snail trail, and bikini line. 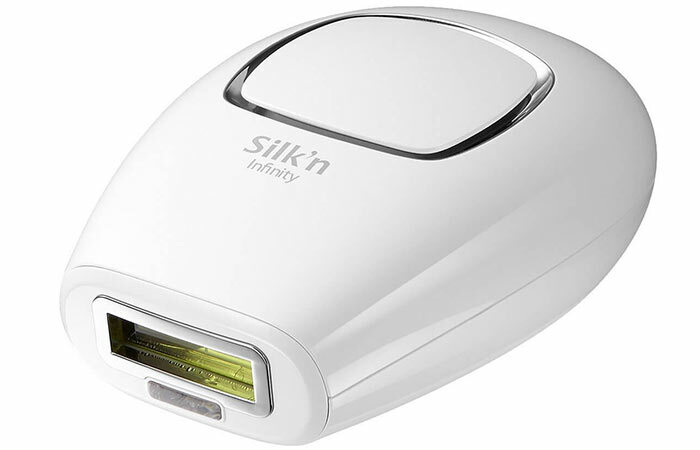 The Silk’n Flash&Go Luxx Hair Removal Device runs on Home Pulsed Light Technology to remove hair from your face and body. This mains powered device lasts for 120,000 flashes and is also fixed with a discreet trimmer that you can use before treatment or on areas that are not safe for laser hair removal, like your eyebrows. The SmoothSkin Gold 300 IPL Hair Removal System looks like a complete luxury product and gives results like one too. The skin sensors on either side of its laser window detect your skin tone before each flash and choose the safest intensity level for it. It also comes with a gentle mode for more sensitive areas and takes around 30 minutes for a full body treatment. 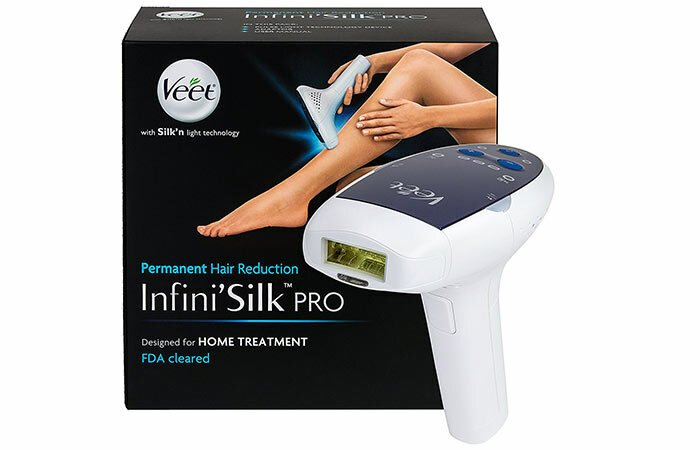 Veet is a juggernaut when it comes to hair removal products, so it’s no wonder that it came out with its own laser hair removal device, namely the Veet Infini’Silk Pro Hair Removal System. This gun-shaped, easy-to-hold device is super comfortable to use and can be used anywhere on your body. 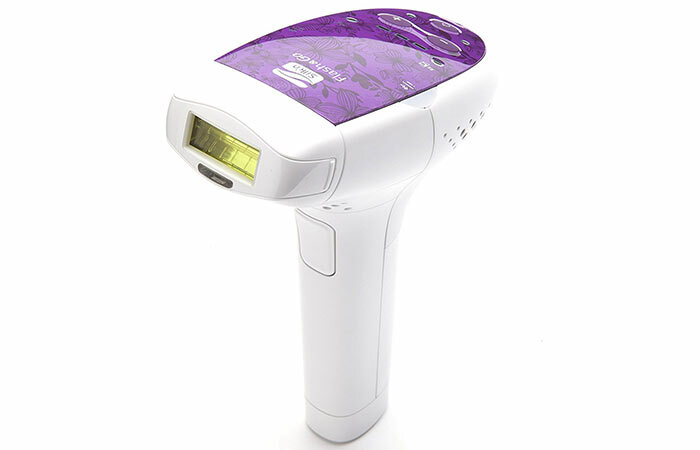 It runs on intense pulsed light (IPL) technology and its laser cartridge can be replaced once it runs out of flashes. So, what are you waiting for? Pick up your favorite laser hair removal device and say goodbye to your facial and body hair! And don’t forget to comment below to let us know which device you decided to pick up for yourself! Can hair grow back after laser hair removal? Yes, but you can see significant decrease in hair growth. Is laser hair removal bad? Though laser hair removal can be a bit painful and cause redness, it does not pose any serious health risks. 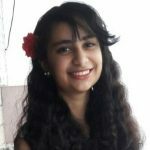 How painful is laser hair removal? You may experience a little bit of stinging and pain during your first few laser hair removal treatments, but it is definitely not as painful as waxing. Can you put on deodorant after laser hair removal? It is recommended that you don’t use deodorant for 24 hours after laser hair removal as it can cause irritation. Can you take a shower after laser hair removal? It is recommended not to take a shower for 24-48 hours after laser hair removal as your skin needs to remain cool and away from scented products. Can I work out after laser hair removal? It’s best not to work out for 24 hours after laser hair removal as sweat can act as a breeding ground for bacteria and cause infection or ingrown hair. Can you put on makeup after laser hair removal? Yes, you can wear makeup after laser hair removal. Can you tan after getting laser hair removal? No, and you need to stay out of the sun a week before and a week after your laser hair removal, otherwise you can risk causing hyperpigmentation, blisters or scarring.